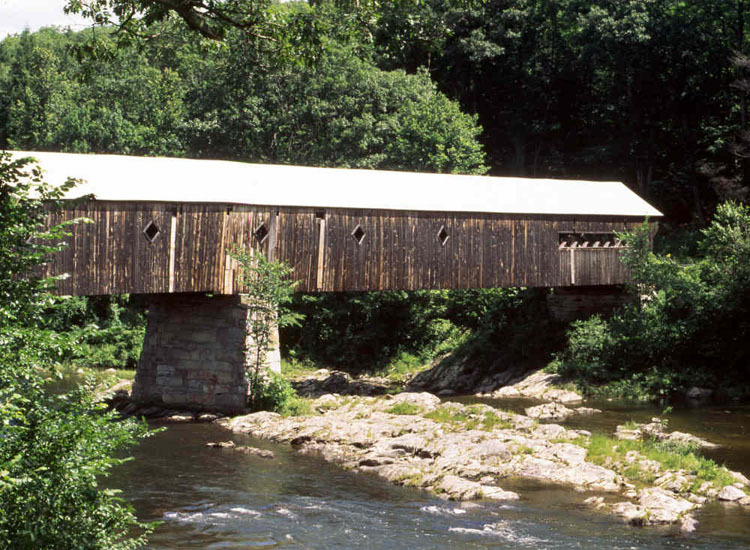 The West Dummerston covered bridge is one of the two longest in the state, and it is the only one with diamond-shaped side ports. Our thanks to the Town of Dummerston for allowing the posting of the Vermont Covered Bridge Society Welcome patch. For more information about the Dummerston area visit their website at www.dummerston.org.